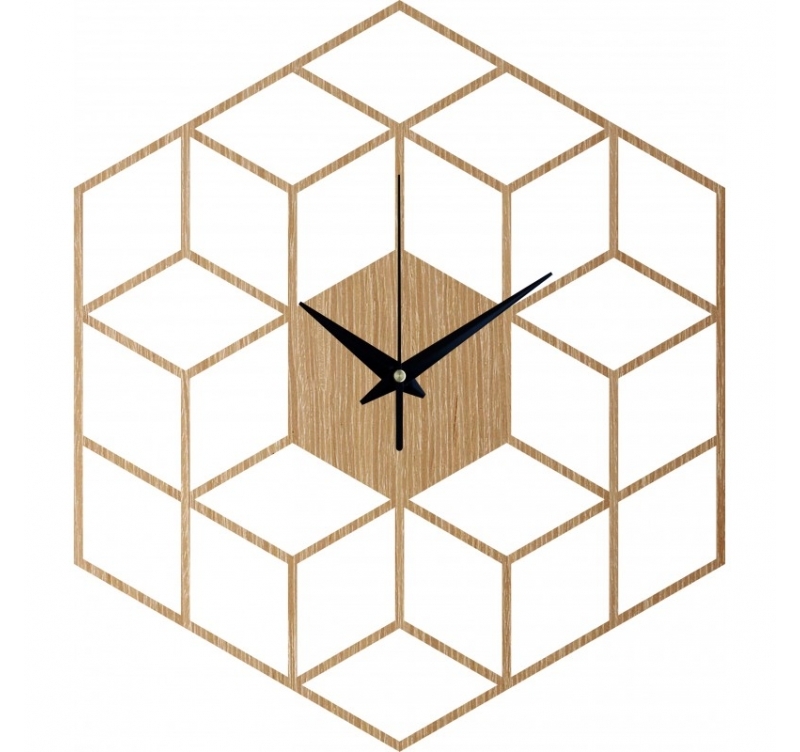 Discover our collection of modern clock made entirely of wood. 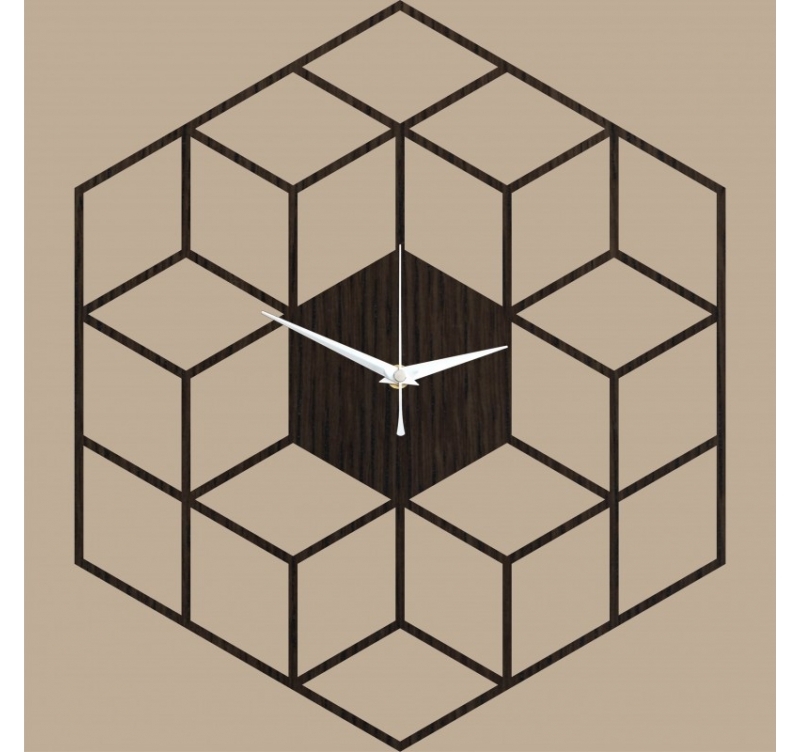 A moose style created by artists Artwall and Co.
Worldwide shipping for this wall clock. Our range of wooden wall clock transports you in different styles to give pep to your wall decoration. Ideal for a large white wall and interior decorations, this cubic model plays on optics illusion for a contemporary touch. 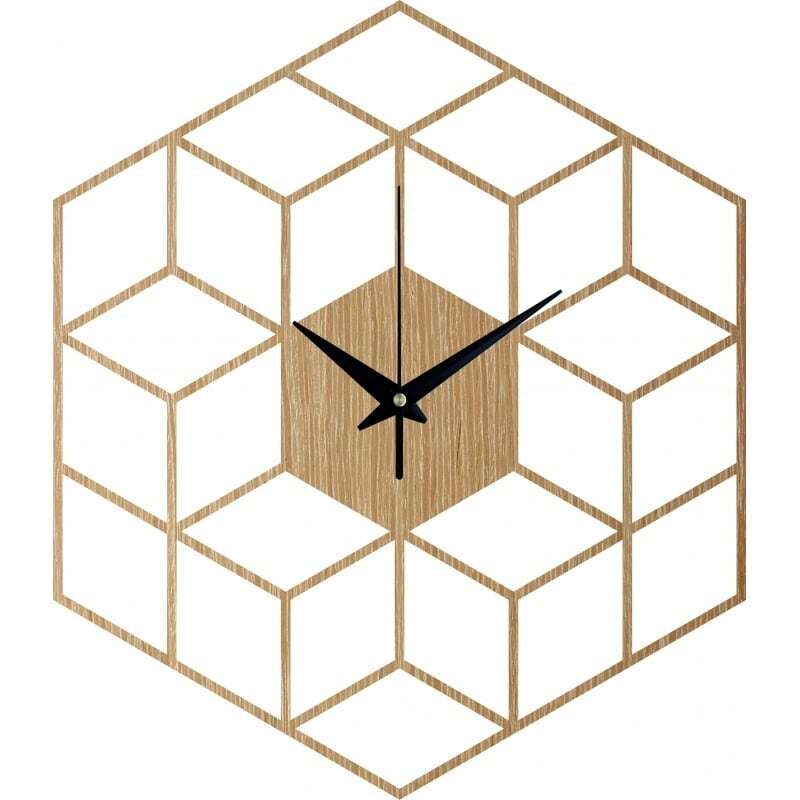 Available in several colors, this clock puts together various cubes, assembled in an intelligent way and which gives you a decoration at the same time unique and natural with its material in wood. This deco clock only works with an AA type battery (not included). Each design is original because of their construction from natural wood panel. 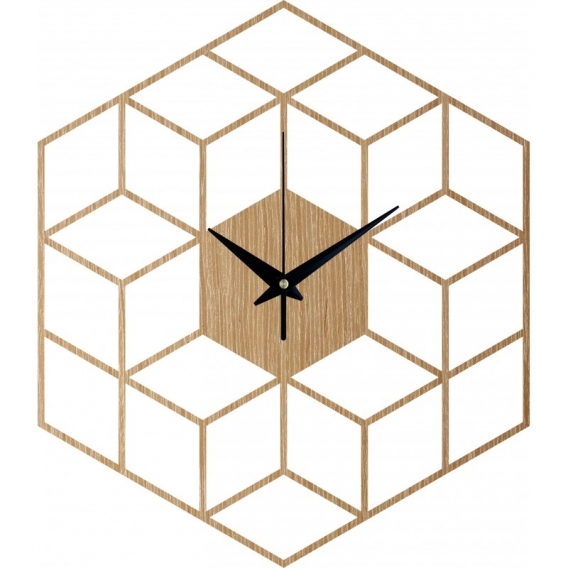 The vein of the material is therefore made individually on each of the products in our wall clock collection.